Elementary OS codenamed Freya is entered in to Beta1 status. The Elementary OS Beta is now available for download. Freya is based on Ubuntu 14.04 LTS and with long term support. Elementary OS is one of the most exciting projects in Ubuntu based Distro. It has a very good theme and state of the art apps of its own. 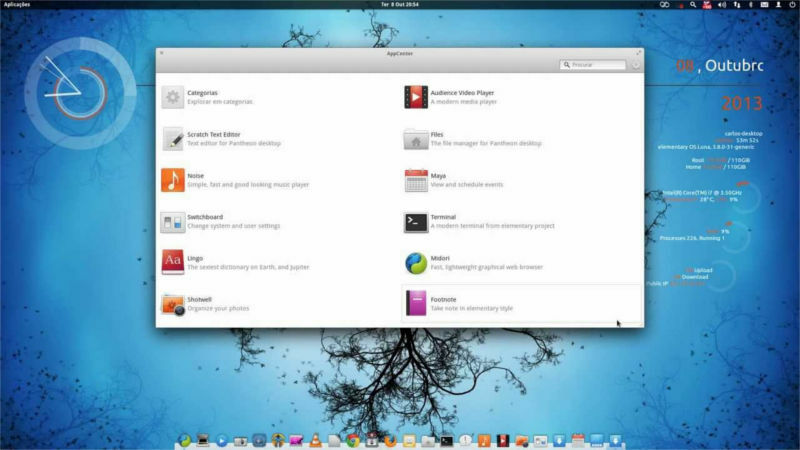 Lead developer of Elementary OS Daniel Foré warns that the software is in its first Beta Phase. It is Not for Production Environment and Expect Bugs and crashes. Freya comes with the components from latest Ubuntu 14.04 . It includes the Linux kernel (version 3.13), latest hardware drivers, and graphics stack. It is shipping the latest GTK+ release, 3.12 and an updated version of Vala. The Elementary OS Freya comes with fork of Gnome Online Accounts called Pantheon Online Accounts. the Pantheon implementation supports Twitter and Facebook and a few other popular social services. The Slingshot app launcher now uses Synapse plugins for powering app searches and, additionally, now supports basic calculations. Unit conversion is coming on the stable release. Plans are afoot to add unit conversion, too. Some handy functionality added for keyboard-driven users. GTK+ 3.12 has the ability to use client-side window decorations and In Elementary OS it is used beautifully. Every GTK+ 3 window in Freya is decorated on the client side with no extra work needed from app developers. This means consistent iconography, shadows, and sharply rendered borders over dark backgrounds. Other changes including more vibrant theme and icon improvements, Pantheon Greeter now adheres to LightDM configuration, various Granite classes have been succeeded by GTK, and adjustments to interface animations have been made. Overall Elementary OS is much more polished and smooth desktop than Ubuntu 14.04. The native apps like geary, shotwell, music, files got lot of changes and updates.